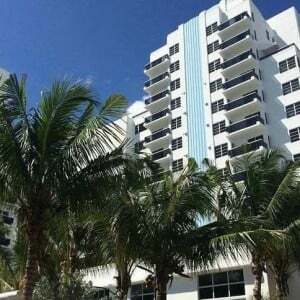 For vacationers looking for a more quiet stay removed from the 24 hour party atmosphere of South Beach, the 380-room Confidante Hotel is a solid pick for couples, groups, and is a great Family Friendly Hotel. 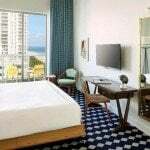 Originally known as the Thompson Miami Beach, this hotel has undergone major renovations. Offering a gorgeous patio area with lush vegetation and colorful decor, the bright colors found throughout the building are full of a retro personality not to be found in other hotels. Guests to the hotel consistently praise the two picturesque pools, multiple bars with extensive drink offerings, and friendly staff, as well as the restaurant helmed by a celebrity chef. 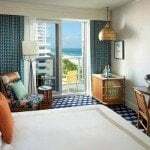 The beautiful ocean view seen from the hotel, ample amenities including free Wi-Fi, and the location’s spacious design make this a great choice. Guests can relax at the hotel’s open air Day Spa with a massage, or at the salon, or take advantage of the Fitness Center. 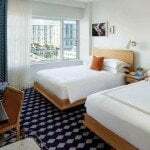 This hotel is a $30 cab ride from Central South Beach, if you’re planning on spending more than one night downtown, that’s going to start to add up. This is considered a Four Star Hotels and because of it’s North Beach prices it’s a also Value Hotel. 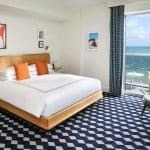 This hotel has direct access to Miami Beach via the Miami Beach Boardwalk. 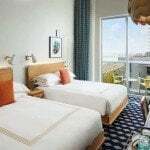 This hotel is best for guests who don’t need to stay in middle of the South Beach Party Scene, guests who are looking for a more laid back vacation, or guests with families. This hotel is most similar to the Courtyard by Marriott, Lexington Hotel, or the Holiday Inn. 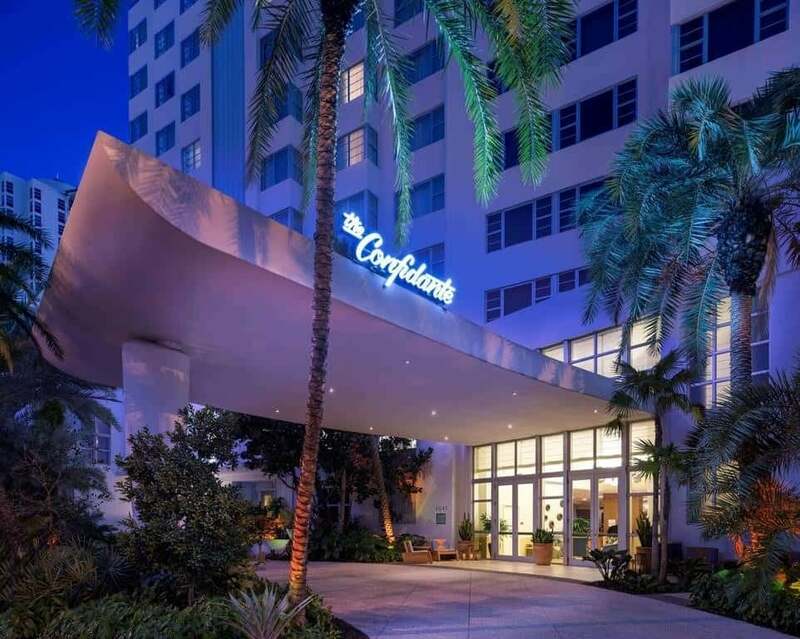 A taxi from Miami International Airport to the Confidante Hotel should be $60. A taxi from Confidante Hotel to Central South Beach should be $22.